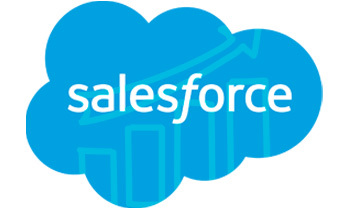 We at Supro InfoTech are one of the leading Salesforce consulting service provider companies globally. We offer fully tailor-made solutions to our customers. We have a huge client base all over the world and we focus on giving our client the very best of service that would surpass their expectations. Our consultants always make sure that we serve the clients with the most appropriate and the latest updated technology. We spend time researching upcoming trends so that out clients don’t have to. Our experts have done hundreds of implementations and can help you transform how you engage with prospects, customers and partners. We follow the best industry standards in the market that are globally recommended. We help you to stand on top of the world. Our team believes and focuses on one mission and one vision- to help create a healthy working environment which can deliver the best salesforce consulting experience. Convert dream into technology results by blending practical know-how with an exceptional perceptive what’s promising. Deliver high class solutions quickly by drawing from knowledge base built on past projects. Create ground-breaking solutions that fit your exclusive business requirements with Supro Infotech Salesforce platform specialists and developer group. Fully incorporate Salesforce with your promotion, client service, order supervision, quoting, enterprise resource planning, and other vital arrangements with our established integration know-how and tools. Modify behaviors, not just knowledge, by enlisting stakeholders as well as end-users. Our Salesforce consulting team consists of some of the best talents who are recruited through a selective process. They are well knowledgeable, qualified and hard working, perseverant and disciplined. All our experts have an experience of 10 years or more which makes them really a library of experiences. Supro InfoTech team also understands the client requirements and works hand in hand as per their requirements and design their solutions accordingly. Our team also has a number of marketing specialists along with programmers and designers who together work in unison and handle each individual project from the very beginning to the end. For more details, get in touch with us. You can call us or email us. One of our team mates would contact you soon to support you. Looking for One Stop Salesforce Consultant?